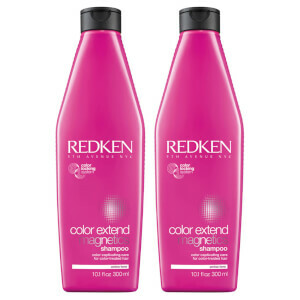 Redken Colour Extend Magnetic Duo consists of a shampoo and conditioner specially formulated to keep coloured hair looking fresh and vibrant. 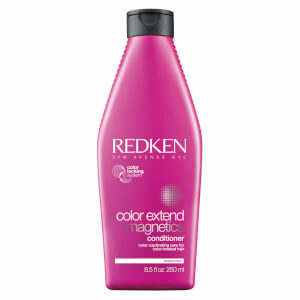 Redken Colour Extend Magnetic Shampoo 300ml cleanses and conditions coloured hair, nourishing your colour and leaving hair feeling softer and smoother. 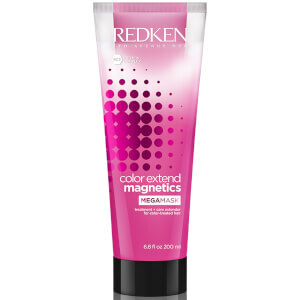 When applied after Redken Colour Extend Magnetic Shampoo, Redken Colour Extend Magnetic Conditioner 250ml will help to extend the life of your colour. The repairing formula will help to de-tangle your hair, will condition damaged, coloured hair, and restore vibrancy, so that you look and feel like your hair has been washed at the salon. Been using this Shampoo & Conditioner on my Clients & of course myself to. I can honestly say it's a blinder of a product! Colour safe & leaves the hair in a fabulous condition. I also use the Diamond oil hair scrub wirh these two, also a fabulous product! ☺ I highly recommend it & have been passing on my finds to all my friends. They also now use this & buy other Redken prodcuts to. I've been using this shampoo and conditioner for months now and it does seem to extend the colour. 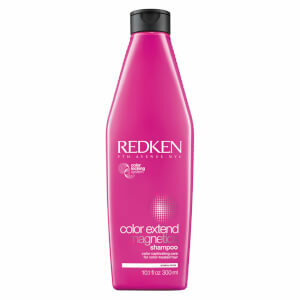 My hair colour used to fade quickly with my previous shampoo but I can tell the difference with the Redken. They both smell lovely and do not make my fine hair too heavy. Very happy and am about to purchase again. Leaves my hair soft & smelling really lovely. Much better than the overly expensive other stuff i’d Been using. Will definitely get again. Great product. This revives my colour and makes my hair feel lovely. I have coloured hair which seems to lift and lighten extremely quickly. I started using this Redken Colour Extend shampoo after my last colour session three weeks ago and for the first time the colour has stayed. It is a lovely shampoo and together with the conditioner leaves my hair soft, shiny and manageable. I will certainly be using this for the forseable future and would highly recommend it..